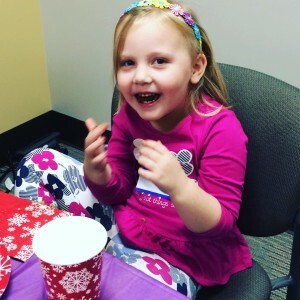 Children enjoyed sampling our KetoVie Café Wholesome Bread at the Cincinnati Children’s Hospital Keto Family Day in December of 2015. Hosting a cooking demo or other ketogenic diet oriented event? KetoVie would love to support you! Here you can find information regarding upcoming events across the US & Canada. In addition, we will share photos & recaps from various events attended by members of our team. Email us at everyday@ketovie.com for additional information.